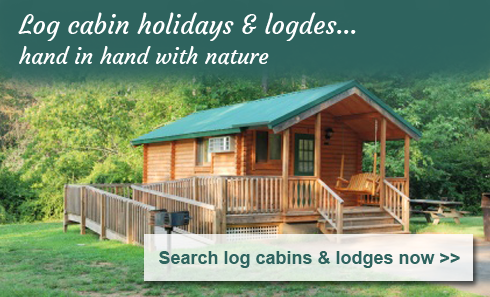 If you’re looking to escape the hustle and bustle and the idea of a self-catering break in natural surroundings appeals to you, then UK log cabins and holiday lodges offers a great environment to relax and embrace some peace and quiet. Log cabin holidays go hand in hand with nature and perfect if you want to indulge in relaxing pastimes like bird watching, fishing, nature walks or perhaps some painting. Locations vary from woodland forest settings to working farms and what better way to enjoy the sounds of nature than unwinding on a decked veranda at the end of the day! We’ve put together this mini guide to showcase some disabled friendly log cabins and lodges in the UK, which may include features like wider doorways, ramps, wet rooms, adapted bathrooms, hoists and electric profiling beds as well as all the other facilities you would expect of self-catering accommodation. The owners of the properties featured on this guide welcome disabled guests, so if you see anything you like, use the 'Enquire' button or telephone them to discuss your needs. When making contact, please mention Disability Holidays Guide - Thank you! Advertise Your Lodge RIGHT HERE! !